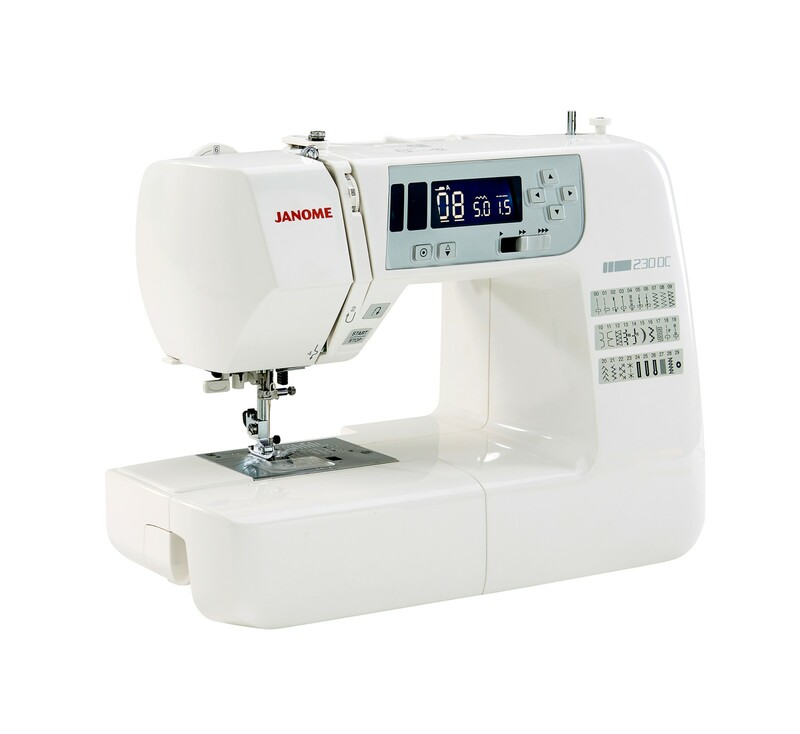 The Janome 230DC Sewing Machine has plenty of stitches for creating all those projects you have been wanting to make, from dressmaking, quilting, crafting and home furnishings, plus so much more. 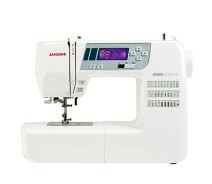 Light enough to carry to classes but without losing out on the features that make sewing a pleasure. This is an ideal machine to grow your skills and it suitable for both beginners and more experienced sewers. 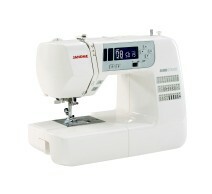 The 230DC has 30 built-in stitches which have all the essential stitches needed for dressmaking, quilting and crafting. The 230DC has the added benefit of having a start/stop button. 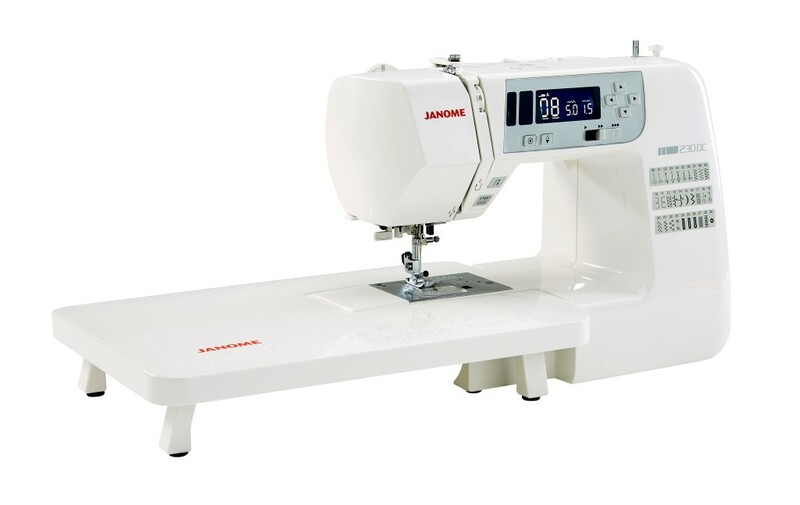 So if you do not want to use your foot for controlling the machine or you just have long seams on a set of curtains, for example, you can simply push the button to start sewing and push it again to stop. 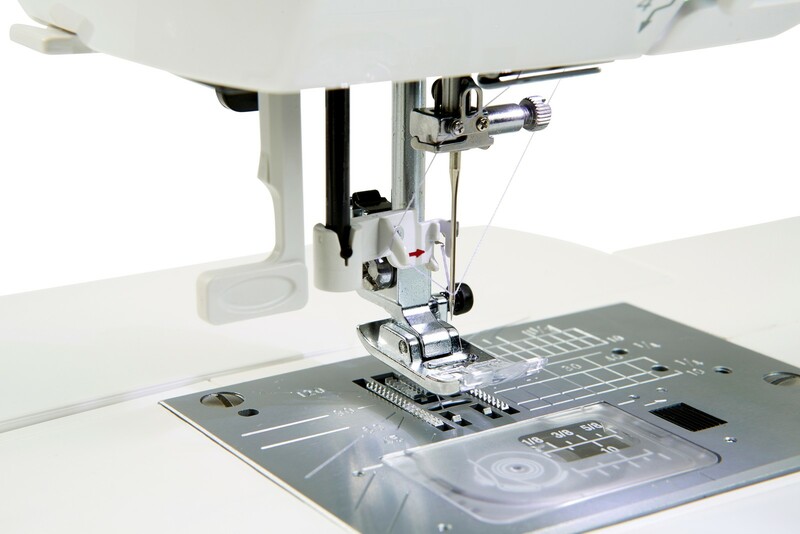 You can adjust the foot pressure to suit the fabric that you are sewing which can be especially helpful when sewing on more delicate fabrics, high pile fabrics or when turning corners with applique. 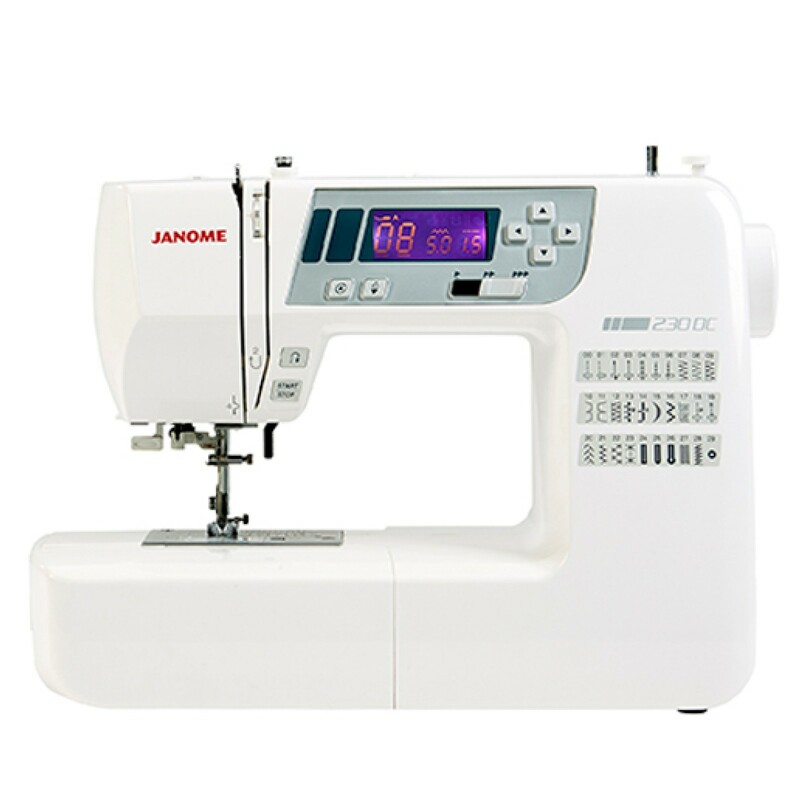 As you have come to expect from Janome the 230DC is built to a strong robust quality. The 230DC comes with an extra wide extension table as standard. This is perfect for those larger projects or if you just need a larger work area. The 230DC has a hard cover so that you can store away your machine with the peace of mind that it is protected. Or if travelling to classes the hard cover protects your machine.